WHY DEAN'S TEAM? 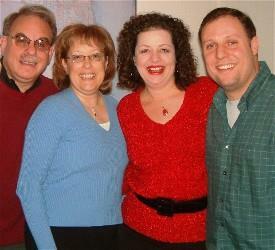 WE'RE YOUR CHICAGO REAL ESTATE TEAM! We Change Lives . . . Everyday! That's what happens, you know, when you sell your present home, and move to your new one. We'd like to help you with that life-changing experience. 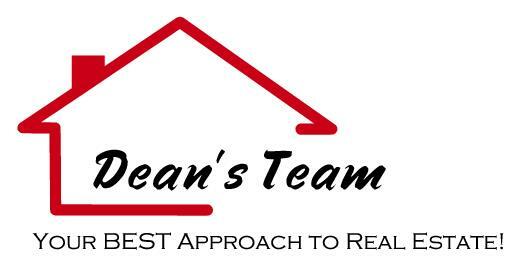 Lifelong Chicagoans, we at Dean's Team have helped dozens of folks just like you buy and sell real estate throughout the City of Chicago and all of its suburbs. We’ve won numerous awards for the work we do, and all of our clients advocate us heartily – and say we’re “worth our price.” But what does all that mean for you? It means when you retain us to market and sell your home, you’ll net a price nearly TWO PERCENT higher (on average, based on 2007 Team statistics) than competitors’ real estate salespeople serving our area. On a house selling for $400,000, that’s an additional $8,000 more in your pocket when you sell. Use this savings to buy a nicer, more expensive property, or save it for furniture on your new home, if you prefer. And when you select us to negotiate a purchase for your new home, our Team Members will make sure your purchase price is fair in today’s marketplace, and that the transaction will flow smoothly through the often tricky inspection, attorney review, and financial contingency process. Our “hardball” negotiating stance will save you money. Ask any Seller’s Representative Agent we have worked with for proof! If you’d like, we’ll tell you all about our Special Marketing System, CUSTOMIZED to YOUR Property, our State-of-the-Art Websites, and our Extensive List of FREE Services. Our No-Risk Guarantee of Satisfaction – if we don’t do our job, in your sole opinion, we’ll refer you to any other full-service real estate practitioner at no charge to you. Nobody has taken us up on this offer – they haven’t had to! Each Dean's Team member is committed to providing you with only the most extraordinary level of service. All we ask, in return, is to give us your heartfelt endorsements to your friends, family, clients, and associates. We promise to treat them like royalty! What's YOUR Number One Goal? We'll make it ours! You'll see, we'll live up to our Team Mission - to be Your BEST Approach to Real Estate!